Joomla is one of the most popular and widely supported open source content management system (CMS) platform in the world that can be used to build, organize, manage and publish content for websites, blogs, Intranets and mobile applications. 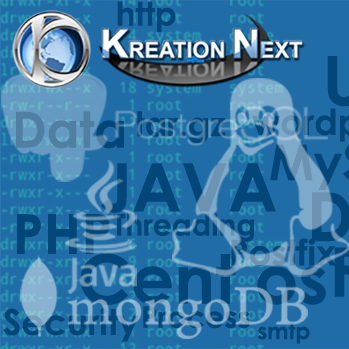 It is written in PHP, uses object-oriented programming techniques and stores data in a MySQL or PostgreSQL. 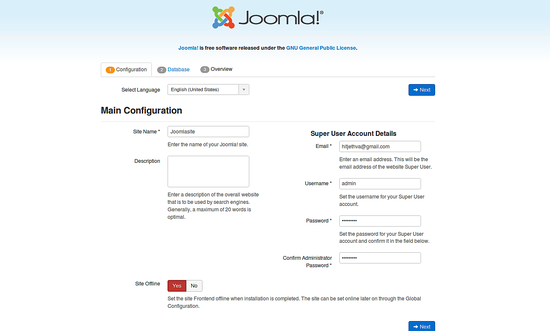 Joomla comes with more than 10,000 add-ons to customize its functionality. 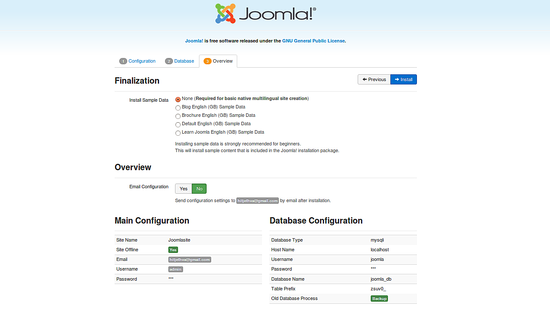 Joomla is open source means anyone can install Joomla and customize it as per their needs. 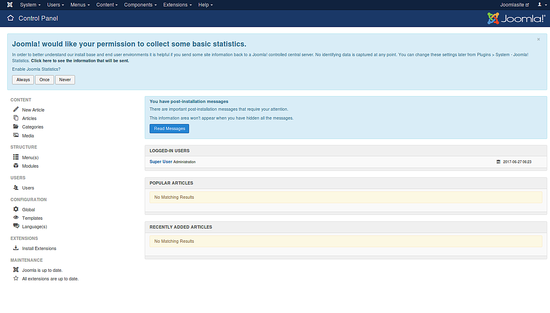 More than 3 percent of the website running on Joomla around the world. 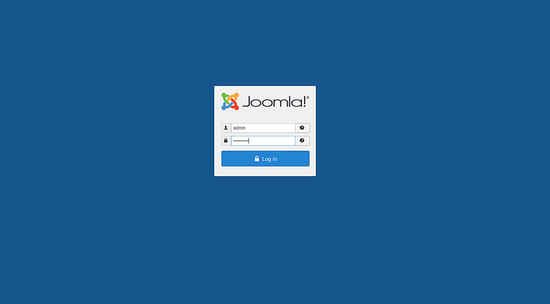 Here, we will learn how to install and configure Joomla on Debian 9. A server running Debian 9. Once your system is updated, reboot your system and log in with sudo user. Save and close the file once you are done, then you can proceed to install and configure Database server. 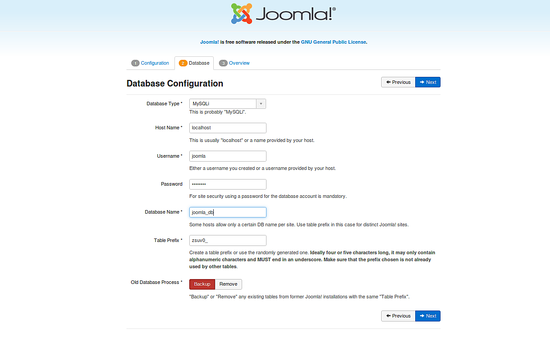 Once MariaDB is secured, you will need to create a database for Joomla. Save and close the file whe you are finished. Before accessing the Joomla Web Interface, you will need to allow HTTP service through UFW firewall. Congratulations! 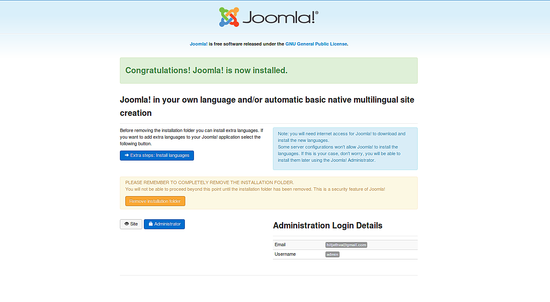 you have successfully installed Joomla on Debian 9. Local citations are dead; long live local citations!